Mantis Confirmed for Avengers: Infinity War | Nerd Much? Guardians of the Galaxy Vol. 2‘s Mantis confirmed her appearance in the upcoming Avengers: Infinity War. This is one of the few times you can truly trust a hat. Actress Pom Klementieff teased her characters’ appearance when she posted the above image on her Instagram account. As you can see, she is wearing the Infinity War hat we have seen a few times before now. While this isn’t an official confirmation of Mantis showing up in Avengers, we definitely think she will be there. In the comics, Mantis joins the Avengers after helping former villain The Swordsman join. Get this, she even went on to battle both Thanos and Ultron. That sounds like she could possibly have a much bigger than we expected. In Guardians of the Galaxy Vol. 2, Mantis is a bit of a newcomer. Not only has she never encountered the Guardians before, but she has never even had a social interaction. 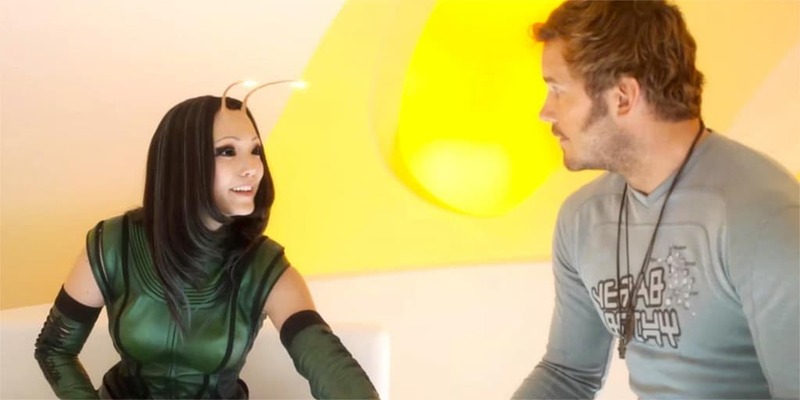 With Mantis confirmed for Infinity War, it sounds like there will be plenty of social interactions to come. Avengers: Infinity War is slated for its theatrical release on May 4, 2018. We can hardly wait.